Stacye C. Markey, M.A. – Ms. Markey is a dancer, choreographer, actress and journalist from New Orleans, LA. She holds a Master’s of Arts in Dance from Texas Woman’s University, and a Bachelor’s degree in Mass Communications from Dillard University, where she also studied business administration. She is the scholarship recipient from dance programs with the Ailey School, Dallas Black Dance Theater, American Dance Festival and Tulane’s Jazz Dance Festival. She has taught jazz, modern and ballet at various local schools. Markey served as creative movement/ dance instructor at Audubon Charter School, Green Charter School and Light City Christian Academy. As a dancer, Ms. Markey has performed throughout New York, North Carolina, Texas and Louisiana. 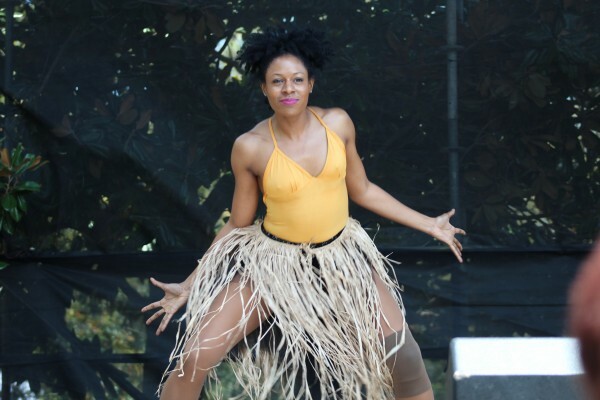 In 2013 Ms. Markey traveled to Guadeloupe with Tekrema Dance Company to teach dance and speak on her artistic experiences in America to high school students. Currently Markey is a dance educator at two middle schools for KIPP Austin Schools. In her spare time Ms. Markey likes to take various dance classes for fun, write and also shop at discount stores for great fashion finds.